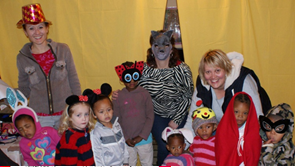 For our Mandela Day project we organized a concert-day for the children of Cooper Street. 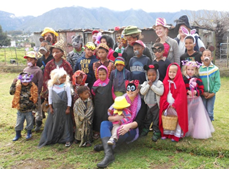 We made and gathered various costumes that could be used by the children, and they took part in a series of small scenes from fairy tales. This was tremendously entertaining to all involved! We also gave them a sweet popcorn snack and boerewors rolls to enjoy.